VIDEO: A CONVERSTATION WITH DANIELLE APPLESTONE OF OTHER MACHINE CO.
Danielle Applestone is CEO of Other Machine Co., a hardware company that makes desktop milling machine called Other Mill. The company is based in Berkeley and manufactures its desktop milling machines locally in San Francisco Bay area. We sat down to speak to Applestone on how she developed in interest in math and science from an early age. Her parents encouraged her interest in math and science and she learnt to fix things around the house as a young girl says Applestone. She went to a magnet school in Arkansas and decided to study chemical engineering. We also spoke about her journey from Arkansas to Boston where she studied chemical engineering at Massachusetts Institute of Technology (MIT). Turns out she really did not want to study chemical engineering, and her interest was in material science. She then headed south to Texas to get her PhD in Material Science from University of Texas at Austin. She was interviewing for a job at Tesla in Silicon Valley, when she switched her plans and went to work at Other Machine Co. She has helped raise money for the company and is focussed on building and expanding Other Machine’s footprint. What advice does Applestone have for young girls? Tune in to find out Applestone’s very practical advice on how to hack the system and become an effective player. 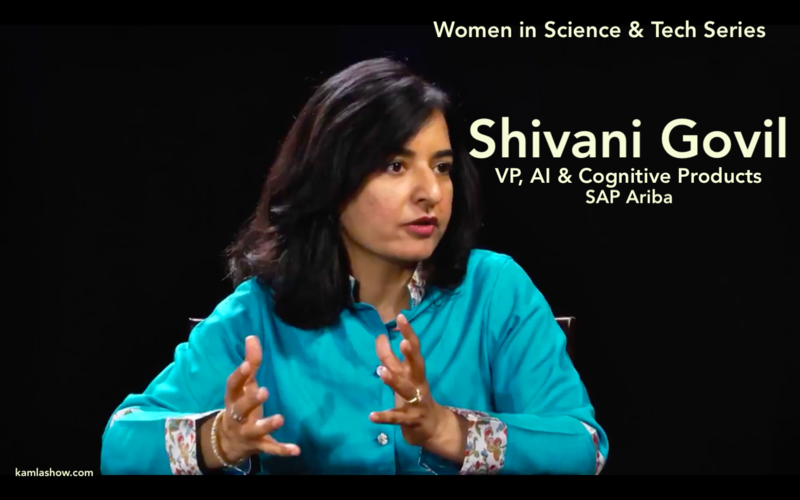 This TV interview was sponsored by Zoho and is part of our Women in Science and Tech series. Hannah Kain studied International Relations in Denmark and was interested in politics. So, how did she end up in Silicon Valley? And how did she end up founding a company in the manufacturing space? We spoke to Kain about her journey from Denmark to Silicon Valley and the challenges she faced in running her company. What is her leadership style? What did she learn from her parents? Tune into to find out the one page business plan she shares with her team and how that helps them navigate through the year and achieve their goals. This interview is part of our Women in Science and Tech series and was originally aired on TV in California and Massachusetts. Hannah Kain is the President and CEO of ALOM Technologies Inc, a Silicon Valley manufacturing company. Her clients include Fortune 50 companies like Ford Motor Company. We spoke to Kain about her unusual journey from majoring in liberal arts in Denmark to founding a manufacturing company in Silicon Valley. We had lot of questions about her journey and why she chose the manufacturing sector. How did she do it? What propelled her to start a manufacturing company? What is her leadership style? How does she lead her team? Tune in to find out. This interview aired on TV stations in California. Here is a list of stations where the show airs.